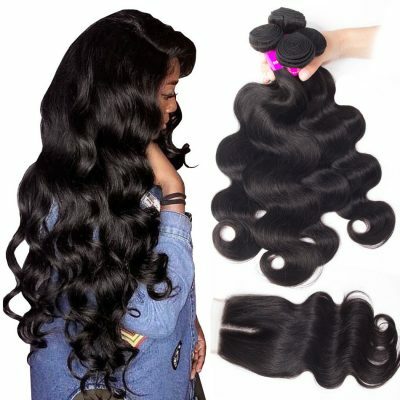 Ladies always hesitate to buy Brazilian hair, Peruvian hair, Malaysian hair or Indian hair when they purchasing their hair. Each kind of hair is high quality and hot popular. 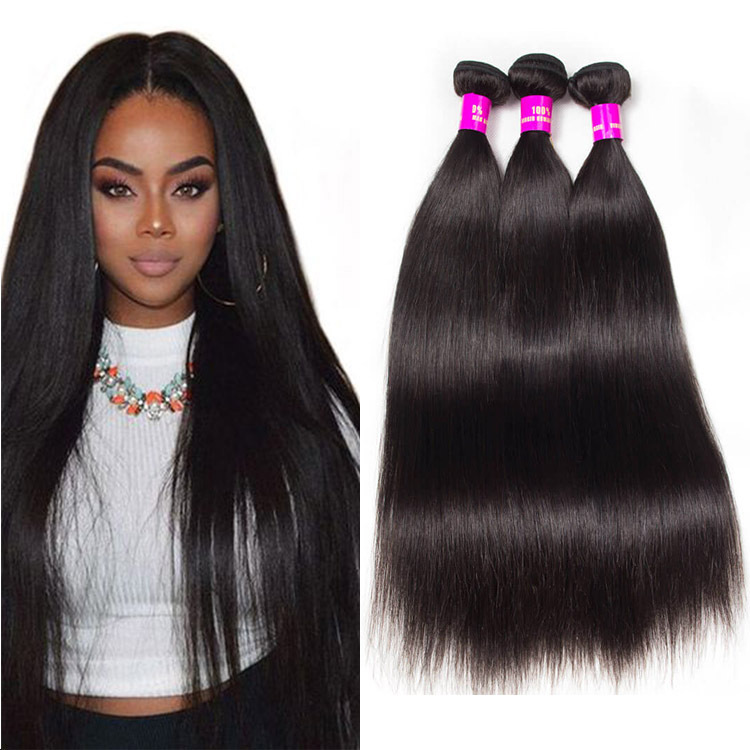 Many women buy virgin hair extensions a lot to add their beauty but do they really know the difference between Brazilian hair and Indian hair? I think most ladies would say “No”, so I am going to share some knowledge about them and help you choose the right hair extensions. In fact, Brazilian hair and Indian hair have their own advantages and characters. Knowing the quality and difference of each hair type is necessary before buying hair extensions. Every lady is crazy about Brazilian hair, and it’s the most popular hair type on the market. Brazilian hair is known for its lasting texture, nice bouncy, full healthy hair, and versatility. 1. Brazilian virgin hair is thick, soft, silky and naturally wavy. 2. Brazilian hair is high-quality hair that resembles the hair of many native Brazilians. 3. 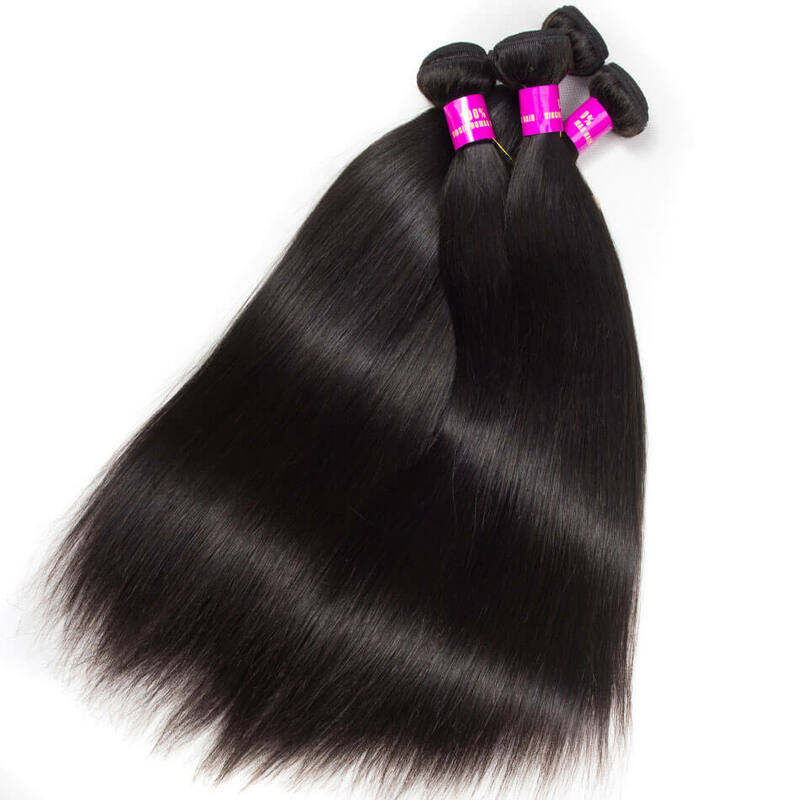 Brazilian Hair is virgin Remy hair, the direction of the hair is respected, and the hair does not tangle at all. 4. Brazilian hair is the best hair to buy on the market with beautiful hair textures. 1. Brazilian hair extensions are 100% Brazilian human hair, it is silk, smooth and shiny. Compared with Indian hair, Brazilian hair is better when facing humid conditions for causing less frizz. 2. Brazilian hair always is the best-selling and top quality human hair type in the market. Its advantages is that Brazilian hair is durable, thick, silky, smooth and blends well with many hair textures. 3. Given its high density, you will need fewer bundles of Brazilian hair in creating a full look than if you were using other textures. 4. 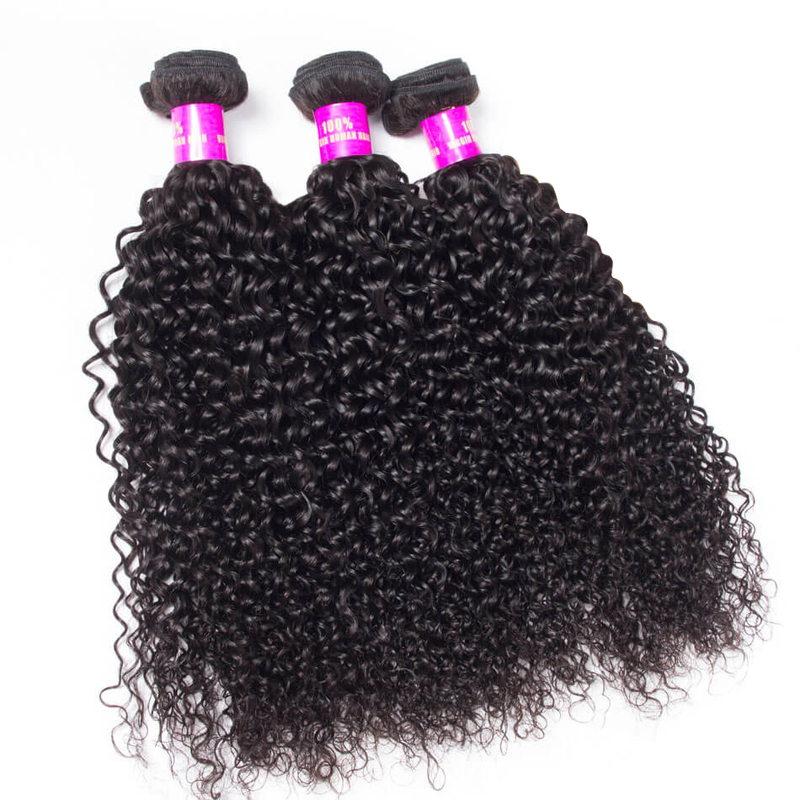 It also holds curls much longer compared to Malaysian or Indian hairs. It is extremely versatile and very amazing. 5. Because of its light texture, Brazilian hair is very flexible and also easy to maintain. If you care for your Brazilian hair extensions properly, your Brazilian hair can last quite a long time. 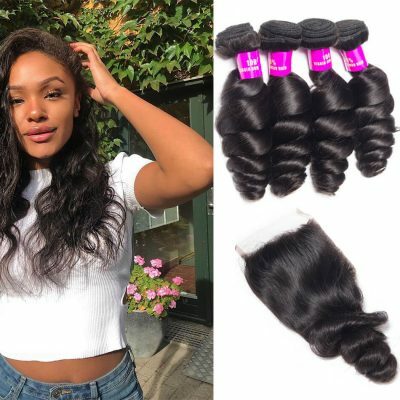 Brazilian hair can hold curl very well, however, it does have a tighter curl when compared to the Indian type, and this makes it hard to flat iron. 6. Brazilian hair is so popular with the Africans, it can be the largest market share among all sorts of the human hair. Why is it to be so magical? Because it is versatile. If you care for your Brazilian hair extensions properly, your Brazilian hair can last quite a long time. 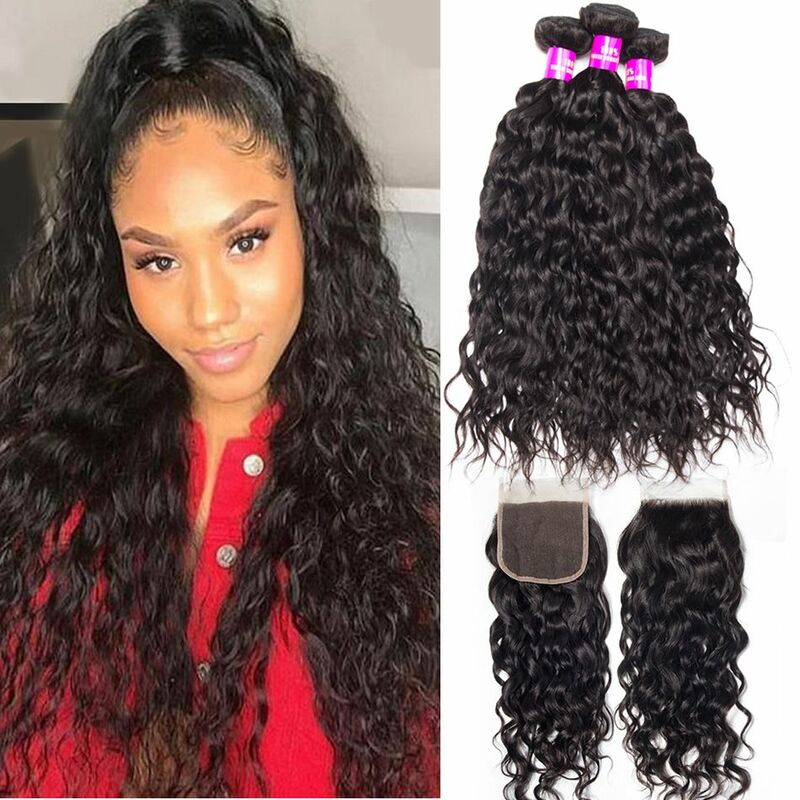 Brazilian hair can hold curl very well, however, it does have a tighter curl when compared to the Indian type, and this makes it hard to flat iron. Brazilian come really versatile personal as well. It can blend into a lot of different hair types so its really awesome and has a lovely volume to it as well. Especially when you’re doing the curls. 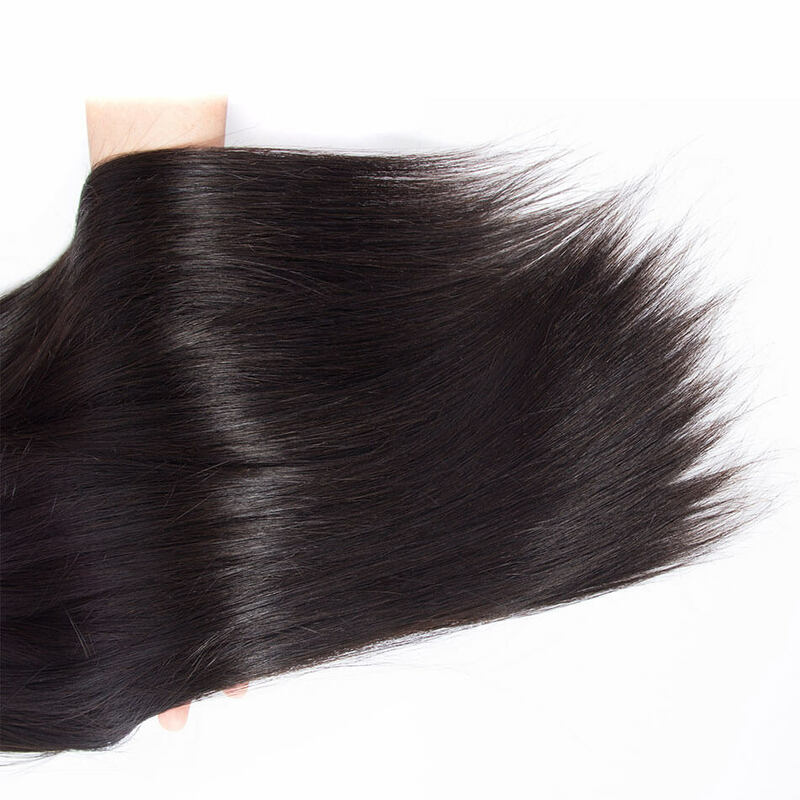 For straight hair, body wave hair and curly hair texture, all are available. The straight texture is not very straight, will have a little light wavy when you wash after 3-4 times. 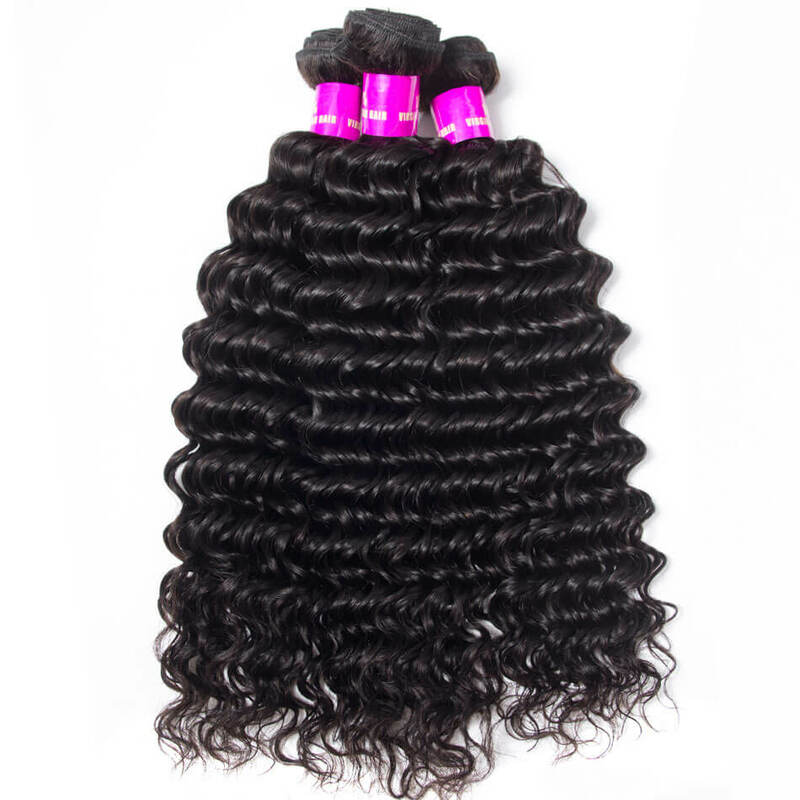 The wavy and curly texture will be held a very long time taking good care than Peruvian and Malaysian hair. Brazilian Straight Hair can be easily curled to any hairstyles you want. Brazilian straight is excellent for African American women, as it looks very natural, yet manageable. Virgin Brazilian Straight Hair will last well up to a year with proper care and maintenance. 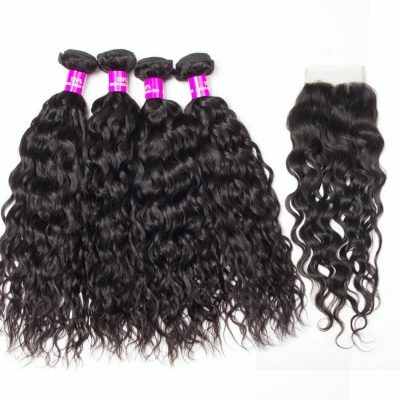 The Brazilian quality wavy hair has great body and fullness and is wavy and light. Wavy Brazilian hair extensions give you full hair with lots of volumes. 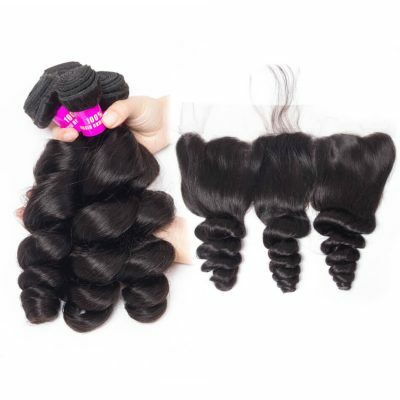 Brazilian wavy hair bundles are durable and will hold its’ natural wavy pattern for long periods of time. Brazilian curly hair is one of the most sought-after and versatile hair choices in the market. This curly hair type has the tightest curls ranging from fine to coarse with S-shaped and Z-shaped curls with everything in between! 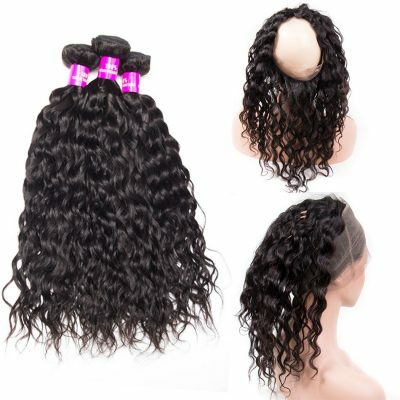 This form of Brazilian hair is durable while remaining soft and curly. It’s the most versatile and readily available on the market. The hairs density is very fine. It’s naturally airy, light and bouncy and can easily be curled and styled. Indian hair moves effortlessly with minimal products. It also blends well with most hair textures. This hair texture can be found ranging from silky to lightly course. Indian hair is available in straight, body wave, natural wave, deep wave, curly hair types. The highest quality hair on the market. The Indian wavy hair is high quality. Evan Hair is 100% Virgin Human Hair, cut from one donor, cuticle holding, no lice and nits, no grey hair. 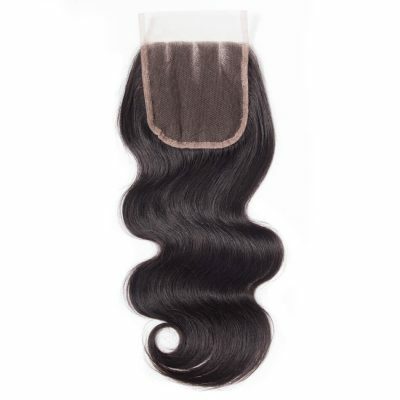 The ends of Indian body wave hair is full length and weight, all the hair is the same color, the hair ends is healthy. Whether you’re dressing up for work or down for leisure time, our beautiful Indian virgin Indian straight hair extensions are the perfect choice for you. The virgin Indian hair can be colored, cut, flat ironed and curled. Last from 6 months to a 1 year depending on care. No shedding no tangle. Indian Remy hair has a silky texture, it blends well with relaxed hair and is very popular among African American women. Indian curly hair is soft, durable and thick with a medium luster that blends well with nearly all hair types. Our 100% human Indian Curly Hair is silky, wavy and luxurious. It has an elegant natural wave pattern and comes in a naturally dark color. You can style it any ways you like. Shedding is minimal. Indian hair is highly recommended for African-American women, create a beautiful wavy. Indian hair can be easily flat-ironed and curled. However, this type of hair tends to become frizzy in humid condition, so anti-frizz products are recommended to use. Brazilian Hair Vs Indian Hair, How To Choose? If you want to compare these two types for better compatibility with African American hair, you will notice that they both blends well with this kind of hair. Therefore, the virgin Brazilian hair battle vs Indian hair finishes with a tie. 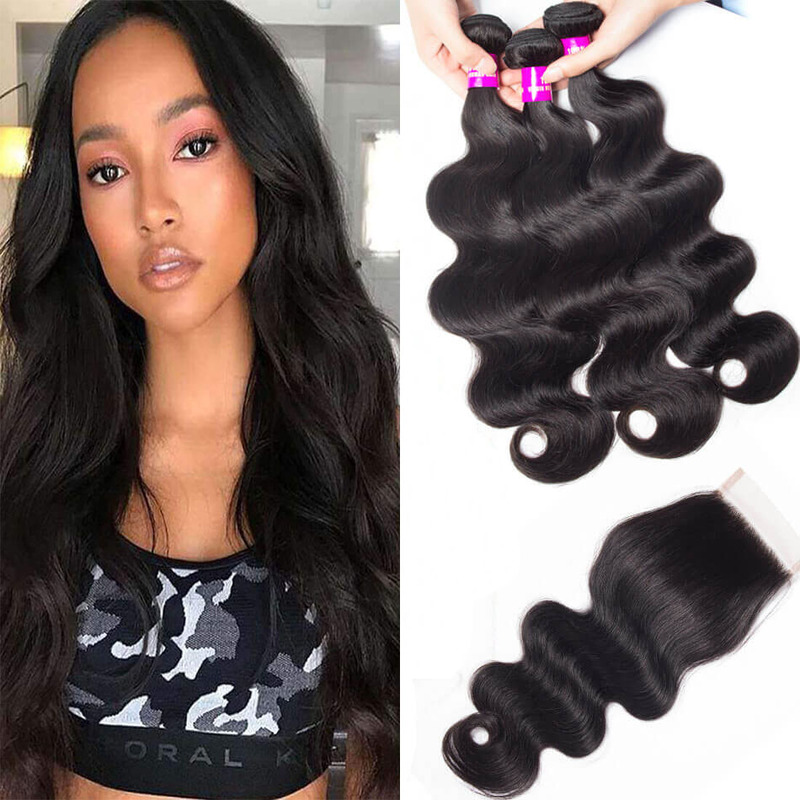 Both the types are very good to be used in several styling accessories like Virgin hair bundles, hair extensions, and fashion 360 lace frontals. Virgin Brazilian and Indian hair are both excellent choices when it comes to buying virgin hair weave. If you need hair that is thicker and coarser, then Brazilian hair is best for you. If you’re in the need for soft and wavy hair, Indian hair is the best for you. No two bundles of Virgin hair are alike. Since the hair is Virgin, each bundle will have a different texture, pattern and hair color than what you may have seen in photos or elsewhere. Brazilian and Indian hair both can blend excellently with African American locks. The ever-increasing popularity of these hair extensions has pushed demand for human locks to the roof. Human hair, irrespective of the type, is better than synthetic hair at any time. When buying natural virgin hair, the best types to consider are Indian and Brazilian hair. Anyone can feel like a princess with a gorgeous hairstyle. In just minutes you can! Get your dream hair. Get longer, thicker hair instantly with our high-quality clip-in hair extensions. Are you ready for your transformation?